American International College (AIC) takes great pride in celebrating the leaders in the LGBT movement. Beginning June 1, 2018, AIC will be recognizing many of the pioneers, activists, role models and organizations which have advanced the LGBT movement each day on the College’s official Facebook site. A hallmark of American International College is the value we place on diversity. It is one of our greatest strengths. Being culturally diverse leads to deeper discussions and increased awareness. American International College (AIC) takes great pride in celebrating the leaders in the LGBT movement. Whether revered for their artistic talents, athletic prowess, political activism and public service, medicine, the sciences, education and other fields of endeavor, they have all contributed to championing equal rights for the LGBT community. Beginning June 1, 2018, AIC will be recognizing many of the pioneers, activists, role models and organizations which have advanced the LGBT movement each day on the College’s official Facebook site. The month of June has long been associated with LGBT Pride celebrations in the United States and other parts of the world. In 2009, President Barrack Obama issued a proclamation establishing June as Lesbian, Gay, Bisexual and Transgender Pride Month to commemorate the 40th anniversary of the Stonewall riots and promote equal justice for all. A decade earlier President Bill Clinton recognized the 30th anniversary of this social uprising. Please visit American International College’s website at http://www.aic.edu, on Facebook at http://www.facebook.com/AmericanInternationalCollege or Twitter, @aiconcampus throughout the month of June to celebrate those who have helped to shape our world. 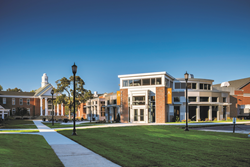 Founded in 1885, American International College (AIC) is a private, co-educational, doctoral granting institution located in Springfield, Massachusetts comprising the School of Business, Arts and Sciences, the School of Education, and the School of Health Sciences. AIC supports and advances education, diversity, and opportunity for its students and the community. 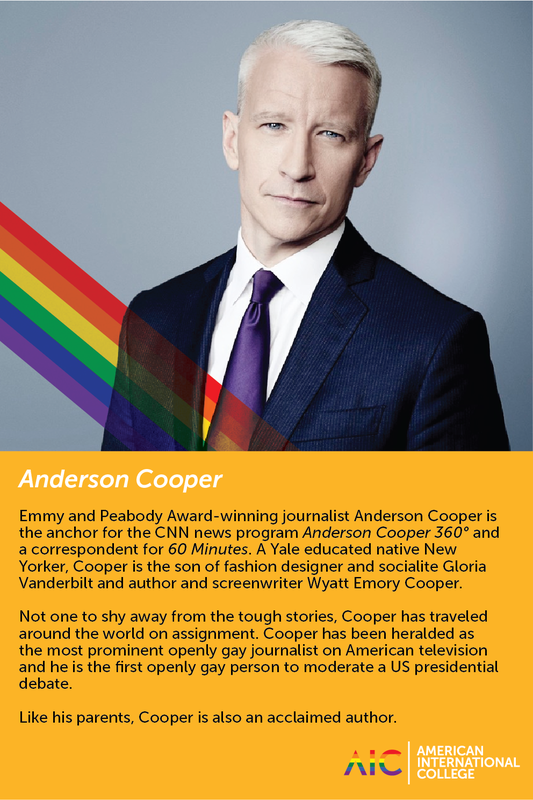 American International College will celebrate leaders in the LGBT movement, Anderson Cooper among them, every day throughout the month of June on the College's social media platforms.